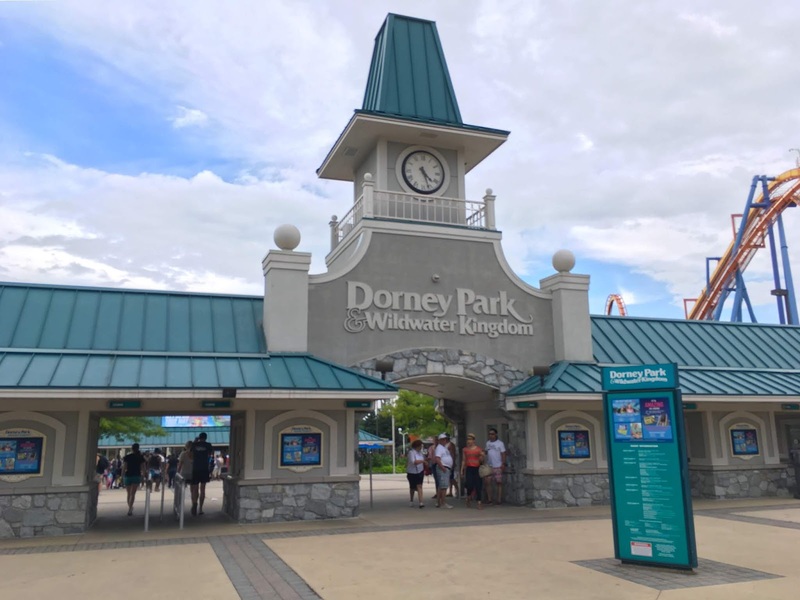 Today we visit Dorney Park and Wildwater Kingdom to check out what's new! 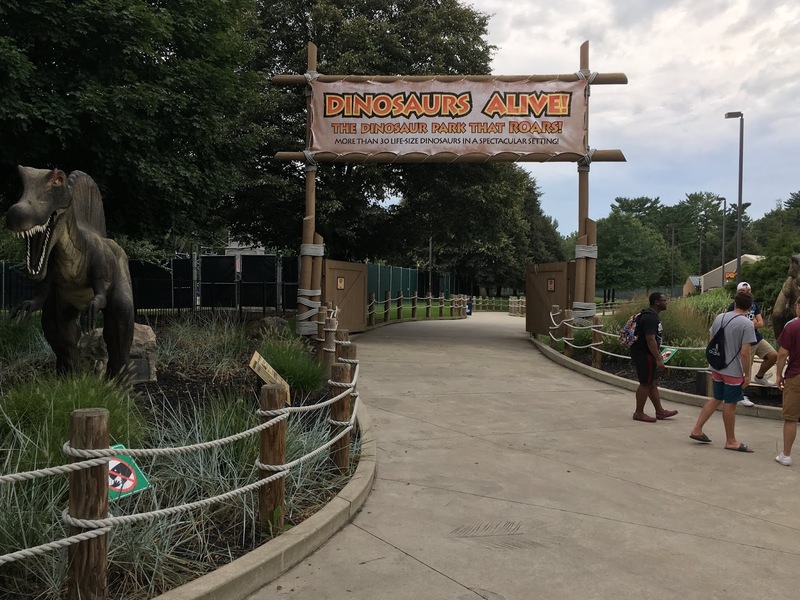 We take one final look at Dinosaurs Alive! 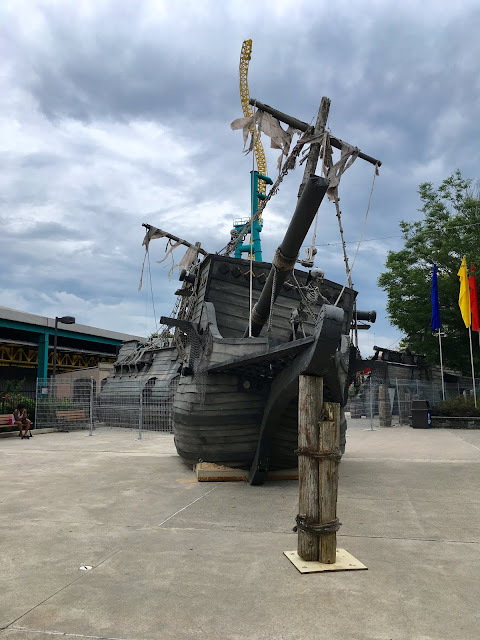 before its end-of-season closure, look at Halloween Haunt construction progress, and more! As the Summer season comes to a close, Dorney Park is gearing up for Halloween Haunt! 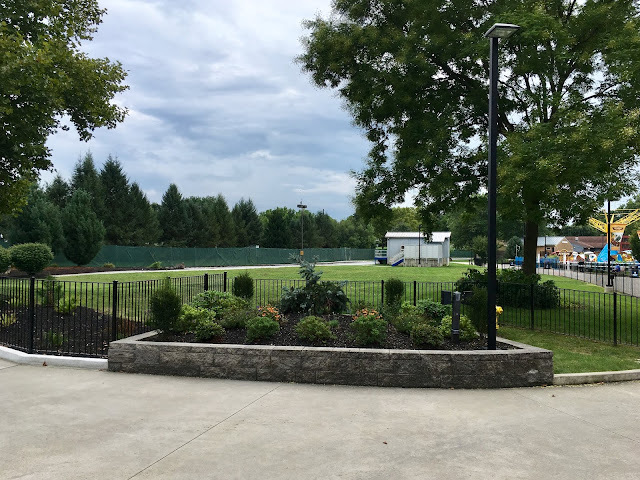 Starting in the back of the park, the Age of Darkness scare zone structures have been erected. Looks like it's almost done! This new Haunt attraction is Port of Call, and is a more personalized experience for guests 21 years and older. 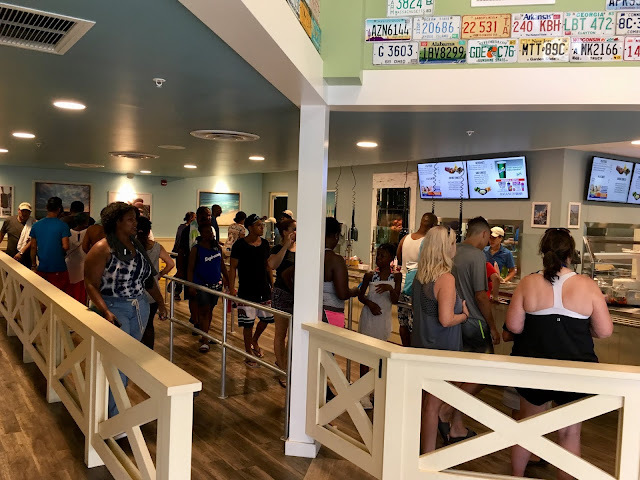 Beer, Rum, and other specialty alcoholic beverages will be served in an outdoor bar. 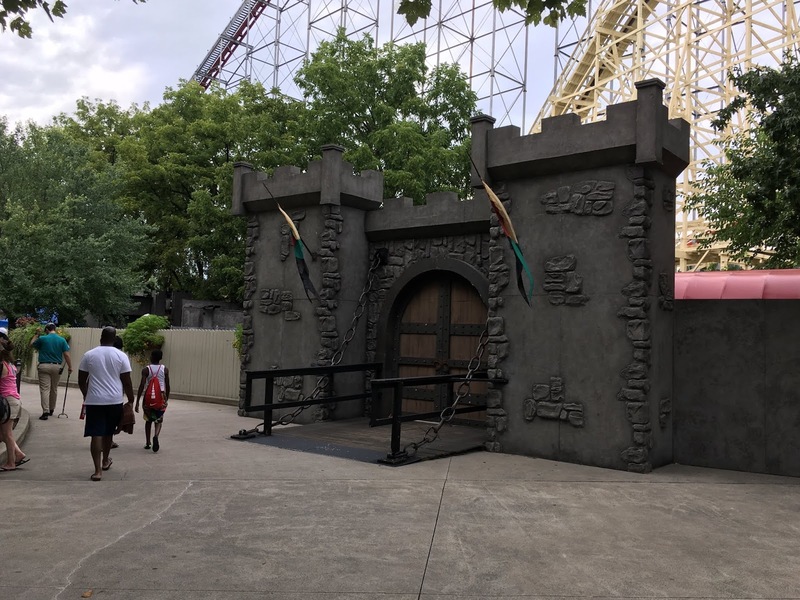 Roaming haunt characters will also be in the plaza to interact with guests. 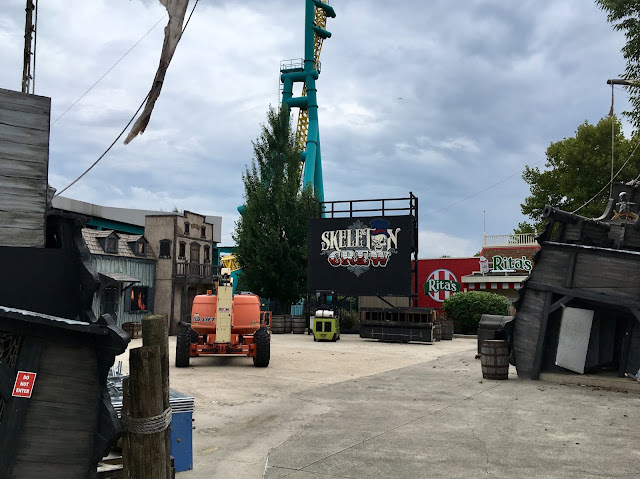 Right next door, the former plot of Stinger is still vacant. 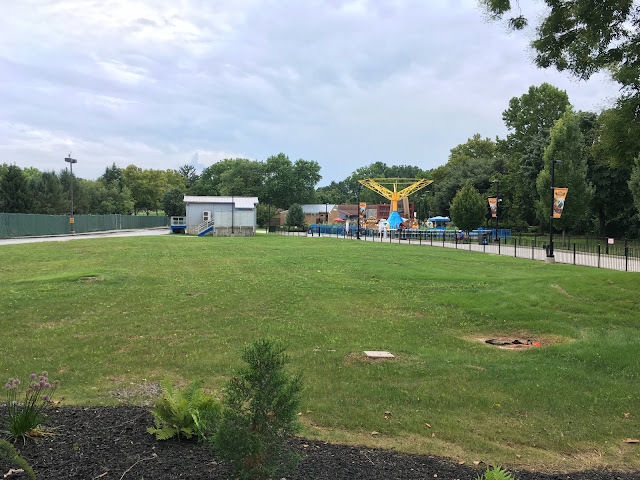 The removal of Stinger has created a problem in this area of the park, as the relatively new Cedar Creek Flyers attraction now receives very little traffic due to its isolated location. Hopefully another attraction will be added to this empty plot in the coming years. 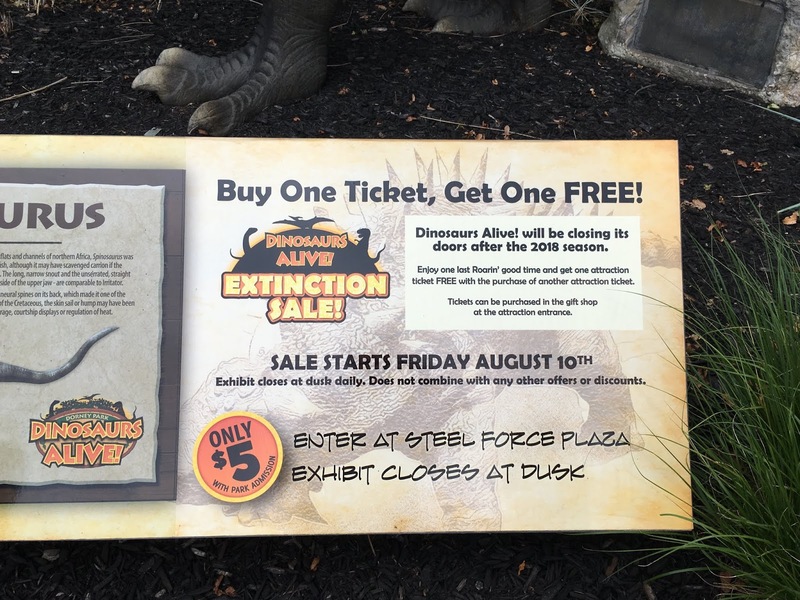 Moving on, it is also time to say goodbye to the park's Dinosaurs Alive! attraction. This walkthrough exhibit will permanently close at the end of the season on October 28, 2018. 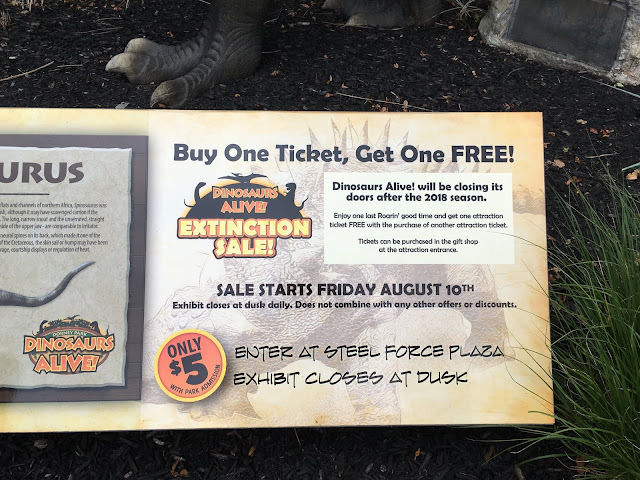 Due to its closure, the park is currently running a 2-for-1 special on tickets. This removal will free up even more space, as the exhibit occupies a sizeable chunk of land in the northwest corner of the park. But for now, let's take one final look. 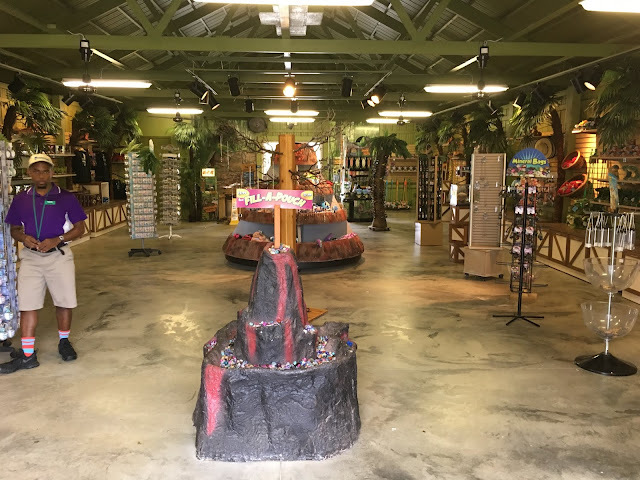 The Dino Store features unique park merchandise items that can only be found at this retail location. 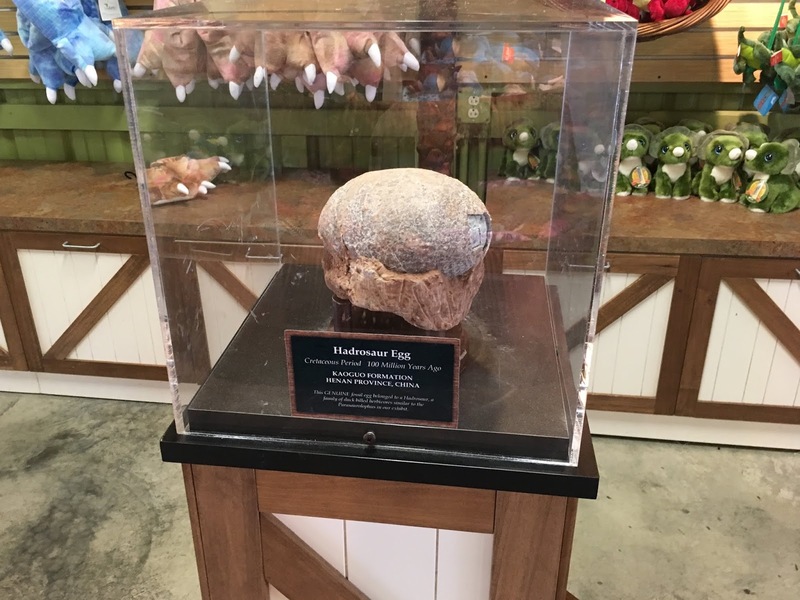 Outside, our prehistoric friends are all hanging out for our amusement! The Dino Dig Site also provides some sandbox fun for smaller visitors! Farewell! Over in Wildwater Kingdom, the park's new 2018 restaurant held a healthy line all day. 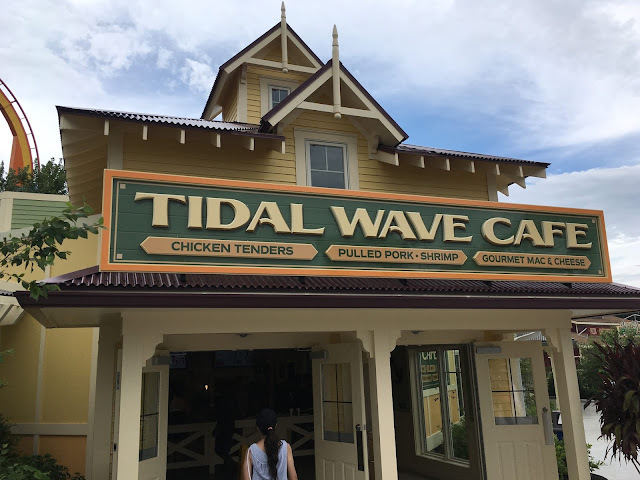 Welcome to the Tidal Wave Cafe! All of the restaurant's major dishes are included in both all day and season pass dining plans. 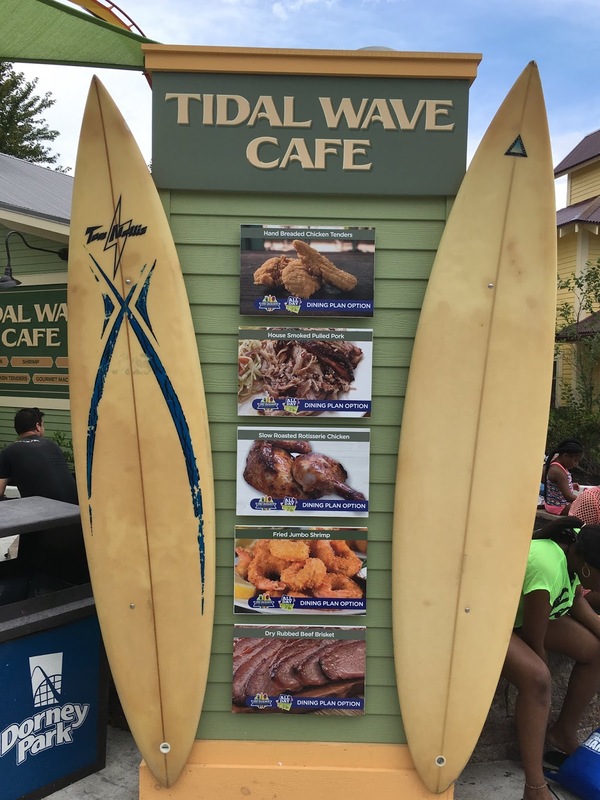 The restaurant is nicely decorated, and provides meals that are slightly different from other park food stands. 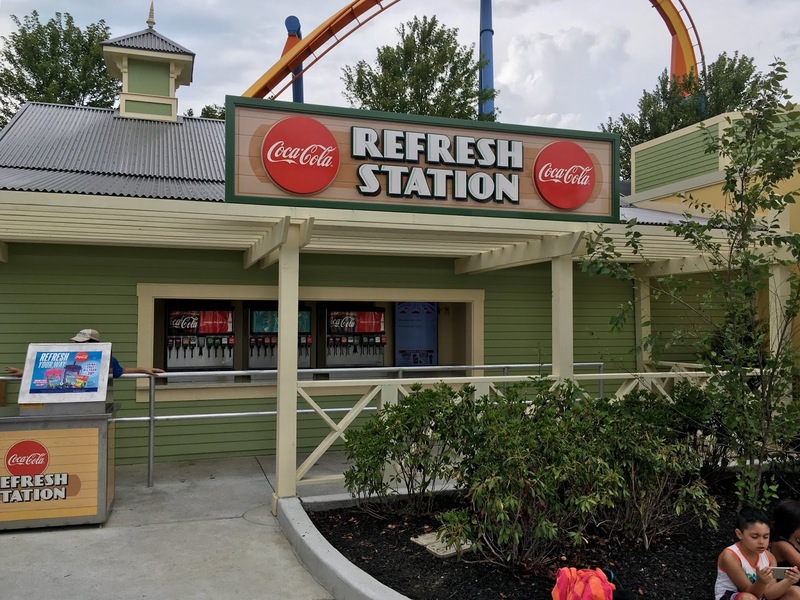 A Coke refresh station is also attached to the building. 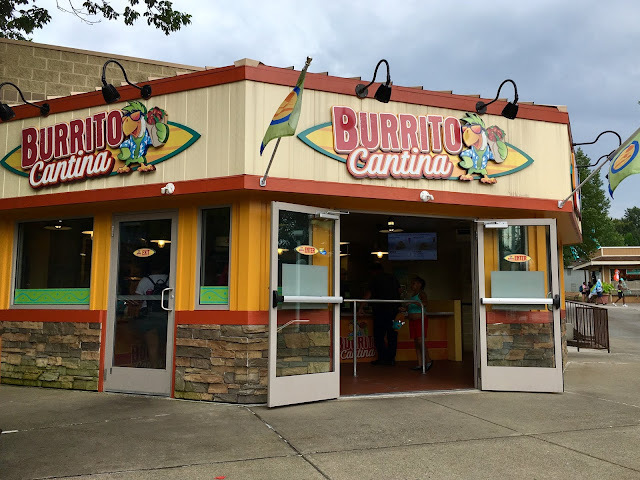 Also new for 2018 is the Burrito Cantina, which serves customized burritos and made-to-order dishes. The park's exclusive line of beers from HiJinx Brewing Company in Allentown, PA are also served at this location.